If you’ve thought about learning the cello, then this guide will help you get started. 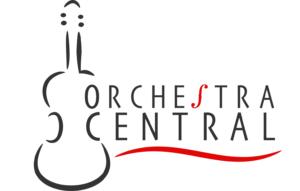 We will cover the basics of buying a cello and then go over ways to start learning how to play the cello. The cello is the second largest instrument in the cello family, but it is also the most popular. Millions of students begin learning the cello every year and many have trouble getting started. By the end of this article, you will know the basics of buying a cello and getting started. Finding a good cello, especially for beginners, can seem overwhelming. You are not sure how it’s supposed to sound, look or feel. You have several options when it comes to buying a cello. Renting a cello is a good option if you need smaller sizes than the full size, like 1/2 or 3/4. The reason is that outgrowing a cello happens very quickly, so you don’t want to have a whole bunch of cellos around that no one is playing anymore. Instead, you can rent the cello until you need a full size and then make a good investment. This option is good if you are just starting out. Maybe you are not sure if you will actually like playing the cello, and so you don’t want to commit to buying a very expensive instrument. 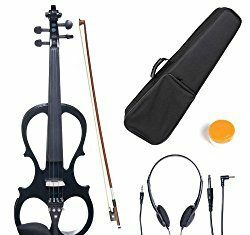 Online cello kits are sometimes better in terms of value than buying a beginners cello at a local or luthier’s shop since you often get everything you need to start playing in the package. You might want to wait to buy a cello from a luthier when you are more advanced in your studies. 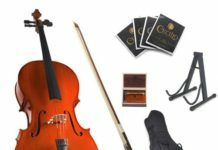 Check our recommended beginner cello kits. It’s recommended that, if you can, you take someone with you who knows about the instrument to a local cello shop to help you find the best match. We recommend bringing a private teacher or parent/relative who has played before. When you are looking to buy a cello in person, make sure you play as many as you like, and try them out to get a feel for what you’re looking for in a cello. Music stores will usually have a room where people can play the instruments before taking the step to buying one, so don’t be afraid or hesitate to ask if you can play it for a while. You can also ask if you can take it home to try it for a few days. Some stores allow you to do this. The idea is that you take several cellos and try them all for a few days to really get a feel for them. Don’t feel pressured to buy the instrument if you borrowed it. Some musicians recommend buying a cello that is of a higher quality than just a beginner cello. The quality of the sound helps improve the quality of the playing even for beginners, creating a better sense of achievement. It’s really up to you. 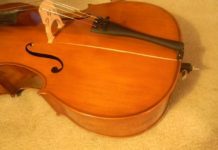 You can either buy a better instrument or get a lower cost beginner cello online to see whether playing the cello is really your thing. You can check some great options for your first cello in our guide of the best beginner cellos. Unless you buy a cello kit, most cellos won’t come with their bows. If the instrument you want to purchase already comes with one, great! You might want to keep that one at the beginning, but consider investing in a bow that will provide balance, weight, and texture to your sound. 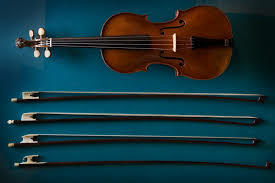 The rate of bows can vary, but as a general rule, the cello bow should cost about 25% of what your cello costs. 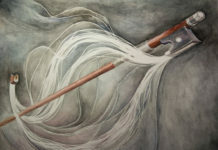 You will be surprised to know how much impact a good bow can make on the sound of your cello. There are two different shapes of bows: round and octagonal. The round bows tend to be more flexible and light. It’s perfect to do detaché or give a warmer sound. The octagonal is stiffer and a little heavier. It makes a darker and louder sound. While each one works best for different features, you might want to test them both to see which gives a better sound for you. You can also see our guide to buying a cello bow. The material of the bow is also something to take into consideration. The ones you should consider are Brazilwood, Pernambuco, carbon fiber, or fiberglass (this one being the lowest priced option). Because of different materials, the different weights and sensations, you can find many options with different prices. You can learn more about the different types of bows from these top cello bow options. In order to keep your cello safe from any damage, you will need a cello case that can protect it while you carry it everywhere. There are so many different types of cases with all price ranges. The case can be made of a hard material, such as fiberglass, wood or compacted foam. These cases protect the cello from almost anything. You can also find cases that are cloth-based. With the differences in material also come the different price ranges. 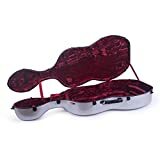 If you will travel a lot with your instrument, it’s recommended you invest in a case that will protect your instrument. The shape of a cello case can vary a lot. You can find oblong shaped cases, which will be a little heavier, but you can store more things, such as more bows, rosins, pencils, music sheet, etc. Halfmoon shape cases can be lighter and easier to carry, but they don’t have that much storage space. Some cases have a higher suspension, which prevents the cello from bumping against the walls of the shell. It’s almost as if it was floating inside the case. You can check which our guide to choosing the best cello cases. Once you have your bow, you need to buy rosin. This will allow the bow to produce sounds when it comes in contact with the string. 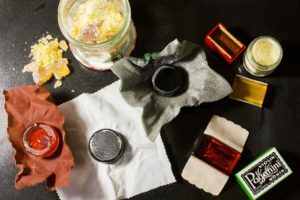 Rosin is an essential part of your kit, and you will need to add rosin to your bow hairs every time you play. Tip: Never touch the hairs of your bow with your hands, because the oils from your skin will reduce the grip the hairs will have on the string, lessening the sound. There are many different types of rosins. You can try them and see which one you prefer. This is also another thing you’ll need but it’s not really necessary. You can find many tuners in online stores like Amazon, or you can get them in local music stores. This is the one thing you actually don’t need to spend money on! With today’s technology, you can find many tuner apps for a very low cost, or even for free. A tuner will be an essential part of your daily practice routine, as you will need to have a reference when tuning your cello, at least until you develop your hearing and can tune your instrument without any additional help. You can also find tuners on youtube. However, it’s more convenient to have an app, than having to stream a video with the pitches. You can check our guide to the best tuner apps. The purpose of the cello mute is to dampen the sound of the instrument. They are usually made of rubber and are fairly cheap. You will find in musical compositions that the mute is required by composers to give a different sound to a piece. It’s also very useful when you want to practice and you don’t want to disturb the neighbors. It’s a very handy piece of equipment to have. It’s not rare for a string to break, so having some extra around is very handy. The string that is usually more prone to snapping is the A string. So you will most likely have to replace that one more time than any of the other ones. 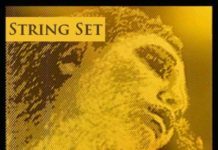 To find out what cello strings we recommend, read our guide on the best cello strings. Changing strings isn’t a thing only if they break. If you play often (about one hour every day), you should change your strings every 4 – 6 months. Some of the reasons you should change your strings are your playing habits. Like mentioned above if you play too much, the strings will wear out a lot faster. The material of the strings can play a huge factor as well. If they are made from gut, they don’t last very long (even though the sound is a lot richer). Steel fabricated strings have a harsher sound, but they last a lot longer. Synthetic nylon strings bring both the warmth of the sound and last long. The way your cello is set up can also have an impact on the life of the strings. if the grooves on the bridge or the nut of your cello aren’t cut correctly, they can create stress on the strings, shortening their lifespan. Another reason the strings can wear faster than usual is the way you treat them. Touching them with your hands, dirt and rosin buildup can contribute to having to change your strings faster than desired. We have covered the main things you should look for when buying a cello, but if you want to double check, you can find a checklist here. Don’t rush to find all the perfect components right away. Take your time to decide and have a feel for what is right for you. An instrument is always an investment and your companion for a long time. Make sure you choose right! You can also see our checklist to buying a cello. While we highly recommend getting a private or school cello teacher to learn how to play cello, you may want to try to learn on your own or as a supplement to your music lessons. We’ll cover the various ways that you can learn cello below. Once you’ve bought your cello, you’ll want to find a music teacher. If you’re taking cello lessons through school, then you’re set unless you also want a private cello teacher. If so, read on. This can be tricky. You will want a private cello teacher who you click with, so don’t despair if the first one you encounter is not the best match, and don’t hesitate to keep on looking if the one you currently have doesn’t work out for you. Finding a teacher is one of the most important things, even more than buying a good cello. The teacher is the person who will encourage you, match your learning style, have fun with you and create a wonderful relationship with. After all, the whole point of playing the cello is to have fun and enjoy! 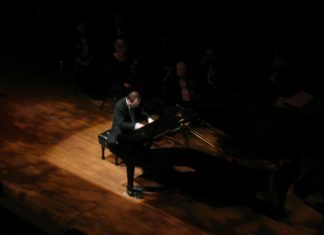 You can study in conservatories, with private teachers, in music academies, or in private studios. You can choose depending on where you live and what your goals are. you might just want to start studying in an academy or with a private teacher. As you improve, you could consider joining the private studio of a cellist from your area. You can do some research to see which good celloists live near you and work towards studying with them. 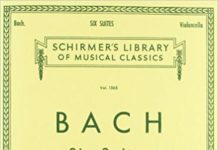 One of the most fun ways to learn cello is through a play-along book. These books range from Disney to Christmas songs and include simple sheet music that any beginner will be able to play. Even better, these play-along books usually come with CDs so that students can hear the songs as they’re reading the music. This helps expedite the cello learning process since it combines auditory learning with visual. YouTube has become a great teaching resource for cello. Students can watch recordings of cello teachers at their leisure and repeat critical lessons. The best part is that students don’t feel intimidated by a live teacher so they can play more confidently. Of course the downside to this is that there is no teacher to give real-time feedback which brings us to our next option. 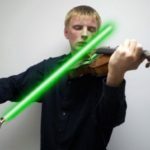 TakeLessons.com has become a dominant player in the online music lessons space. They let you take lessons from leading teachers across the world at a time and place convenient for you. They even offer the option to take group lessons so you can save money and learn from other students. We hope that this guide has helped you understand what it takes to buy and learn to play a cello. The cello has become a popular pastime of many people and it will continue to grow in popularity. Now you’re ready to make beautiful music (or start the process) and have the best time of your life!